The Parish of Jesus Christ Prince of Peace was established in 1990 when Bishop Gerald O&apos;Keefe supressed the five existing parishes in Clinton and combined them into one parish encompassing the entire city. 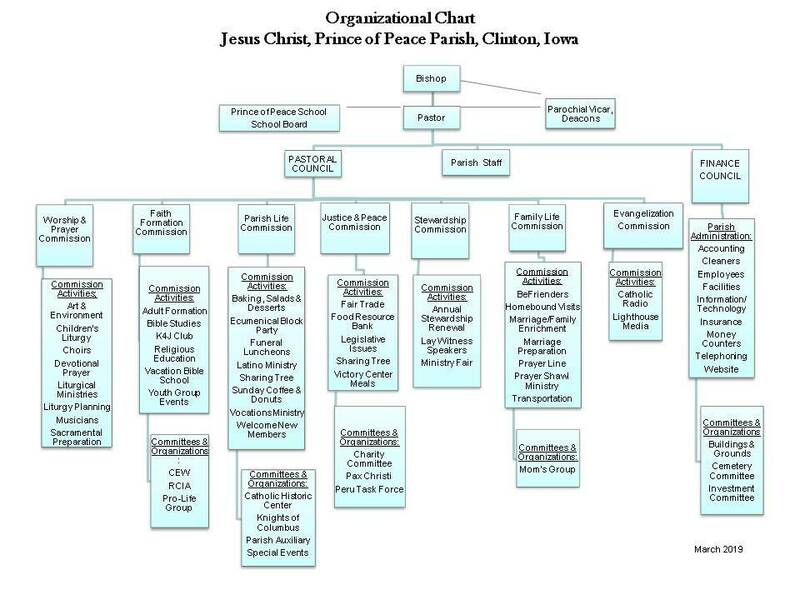 The history of the Catholic Church in Clinton is a rich one as is shown below in the brief description of each of our founding parishes. When Prince of Peace Parish was established in 1990 Father Ronald Young was appointed pastor of the new parish. In 1999 Father Anthony Herold was appointed pastor. In 2002 a Faith Facilities Committee was established with the charter of deciding whether or not to build a new church to serve the parish and what to do with the original buildings. In 2005 the St. Patrick&apos;s building was demolished and discussions were begun with RDG architects and subsquently Estes Construction was hired as the prime contractor, Brother William Wolger was our Liturgical consultant, and Randy Milbrath of RDG was appointed the lead architect. On July 18, 2007, the official ground breaking was held on the present site of Prince of Peace Church. On March 14 2009 the present church was dedicated by Bishop Martin Amos. Later in 2009 St. Mary&apos;s Church was demolished. St. Irenaeus Church was deeded to the Clinton Cointy Historical Society. St. Boniface Church was deeded to the Clinton County Catholic Historical Society and contains many artifacts and records from our founding churches. In June of 2010 Father Herold was transferred and our present pastor, Father Kenneth Kuntz was appointed.